If you know me, you’re not surprised to see that I am scheduled for this Friday, April 13 (the day after tomorrow) at 3:00 pm EDT but 12:00 noon PDT. Friday the 13th is my lucky day and I’m a night-owl so any time before noon and before I’ve had my two lattes is not a good time for coherent conversation. Join me at Bookworms Anonymous on Facebook. All you have to do is sign up before my scheduled time. For authors, this is a good way to see how Bookworms Anonymous online discussions work so you can consider this wonderful FB group in the future. 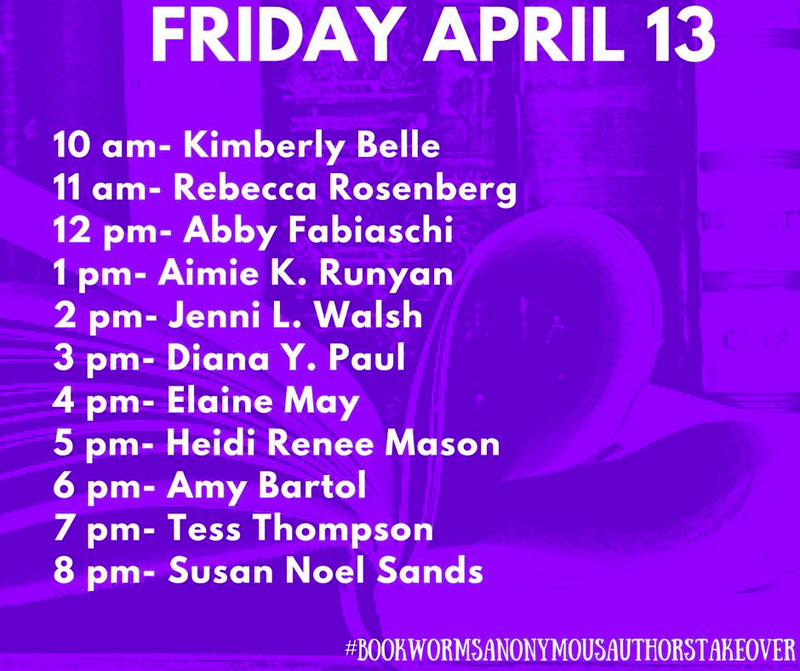 Also, all you readers out there, I am going to give away 13 books because it is Friday the 13th to the lucky participants who sign in for a lively discussion!